Pick one of our plans and create your account. Then submit your business, privacy and SSL information. We will approve your business within 24-hours. 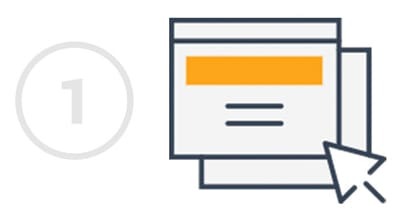 Place the trust badges on your cart, footer and next to purchase buttons. Watch your sales and conversions increase up to 62% or more. increase trust and sales online. Now it’s your turn. 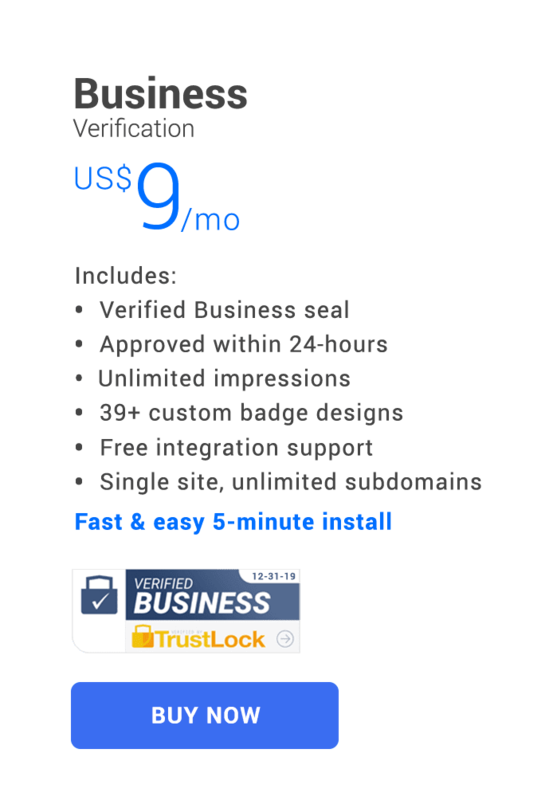 How long does it take to get TrustLock badges on my site? You can embed your seals instantly after purchasing a TrustLock Plan. Seals will still appear on your site, but our hover effects and official linked verification page will appear after we approve your application within 24-hours. 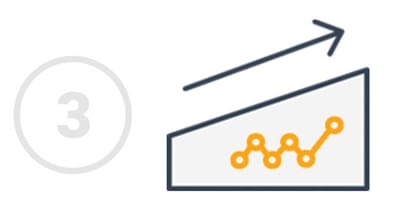 How does the Verified Business badge work? The Verified Business badge is a third-party verification by TrustLock. The business verification badge helps reassure visitors that you are a legitimate and trustworthy business. 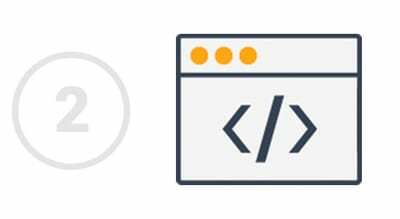 After confirming your business name and ownership details we create a special verification page on our site that users can access by clicking the badge on your site. Visitors will see the criteria which you had to meet to be approved for the TrustLock seal which includes business information, confirmed business history, and responsive support. How does the Verified Privacy Safe badge work? How does the Verified SSL Secure badge work? Visitors may not realize that you have active SSL security in place unless you tell them. 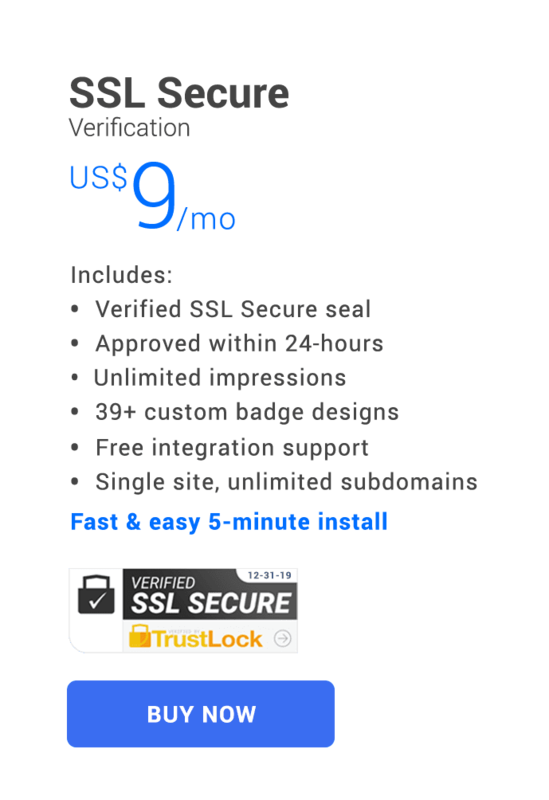 The TrustLock Verified SSL badge shows users that you’ve been verified to have active SSL security in place to safeguard their security. 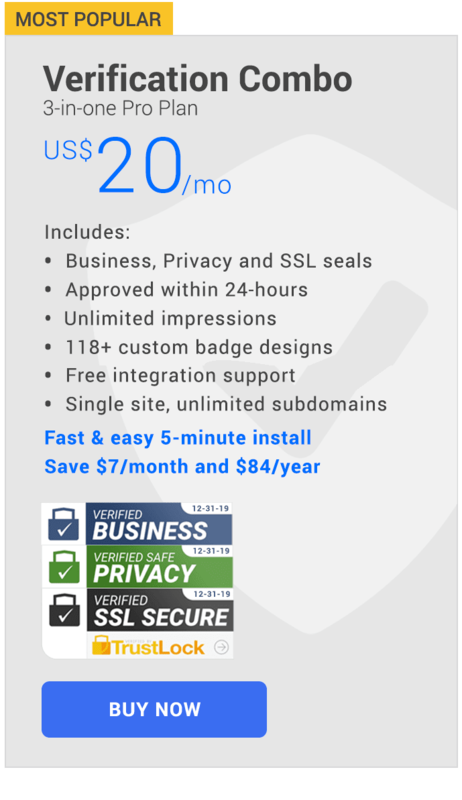 The TrustLock SSL badge verifies your existing SSL certificate, so there’s no need to make any changes to your sites internal settings. All you have to do is provide us with your publicly available details from your existing SSL Certificate and viola! How do I embed TrustLock seals onto my site? What information must I provide to get approved? We instantly give you access to our trust seals, however, we ask that you submit your business name, proof of business ownership and your preferred customer support phone number and email address. We also do our own preliminary research to ensure that your business meets our basic good-standing requirments. What happens if my revenue does not increase in 30-days? We’re positive that our badges will increase your sales and shopper trust, however, if you’re unhappy with the results, we want to make sure you’re happy no matter what! Just show us that your sales have not increased in 30-days and we’ll be happy to offer you a full refund for your 30 days of service!